Noob here. Can someone explain exactly what the bolded statement means? Is this referring to fields in polariseditor? What's a 1500 strap? I would love to get an extra 20% out of my msi rx480.
" I've also got the armor 4gb 480 hynix and it wont do more than 26/27. Im running 1275/1900 with 1500 strap. Mem can't go higher without errors, and I can push core but no point afaik. 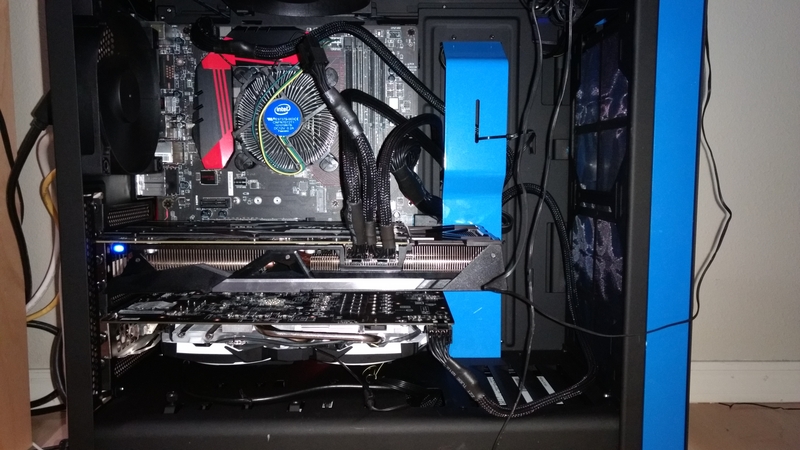 Also, the bios for these cards don't support undervolting , so the only way to get it lower is to force it with wattman in windows "
Sorry for details I'm a hardware engineer and I love to line itemize I guess. 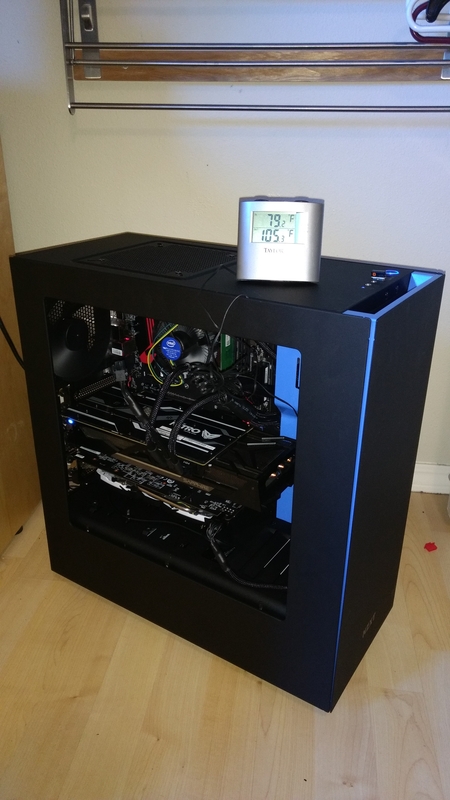 I have to say that I'm super impressed by the Celeron. I have not tested the power draw personally but I've read enough other posts to know it just sips, around 20-27W, maybe lower dunno. Compared to the NHM Bloomfield it's replacing, it's about 20% of the NHM. Quite frankly since I'm using it for my regular desktop it's just not quite sharp enough, so I'm upgrading to an i3-7300 @ 4Ghz. Still same TDP of 51W, and with all the sophisticated power management they have on cores these days, CPU typical usage is really becoming completely negligible; even for a dedicated miner the top companies are doing a lot better job controlling leakage. Cards are a ripoff I know, and I realize both nvidia and amd are coming out with mining specific cards probably later this year, but it's a project I wanted to start right away. Anyway. I get 50-51 MHs, and just like everyone else I suppose I bricked the Rx480 a few times. But I know there's a way to get more out of the RX480, and my suspicion is that I have to edit my Rom directly using polariseditor. Can anyone enlighten me a bit (just high level) if I'm on the right track, it'll help narrow the searching down. Hello, looks like this is a good forum. The largest? 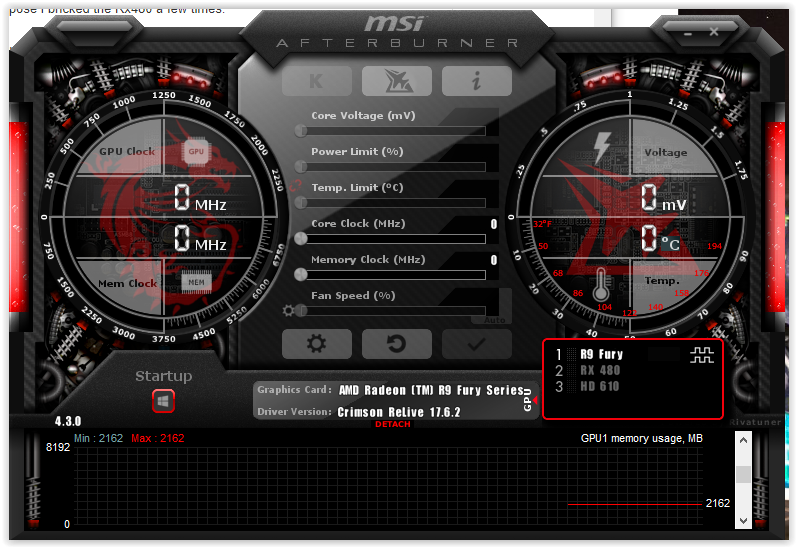 Okay, so I tried MSI Afterburner to try and OC, but got nowhere because for whatever reason, it won't let me override the settings. I can punch in a value, but can't apply it and the sliders don't work... anyone seen this issue? The "strap part" means the timings that could be changed in the bios for the graphicscard. Using timings from the lower clock frequencies and applying them at higher frequencies. There are lots of youtube vids and threads on the matter, watch them. There is a box in afterburner settings named Dissable ULPS, click it. Enable hardware controll and monotoring, low level IO driver, Unlock voltage control and finaly unlock voltage monitor needs to be checked.